Below is a link to a video during which the genius of Richard Feynman (1918-1988) is celebrated by those who knew him best. His genius is also revealed by Feynman himself as he explains, in layman’s terms, some of the most complicated insights into the nature of reality, in general, and the physics of our shared humanity, in particular. I envy anyone who has not as yet experienced the intellect, passion, and charm of this remarkable man. 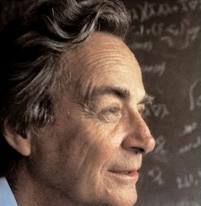 Here is a link to the Feynman website. Here is a link to his Amazon page. Here is a link to his bio on Wikipedia. Here is a link to the Horizon video.